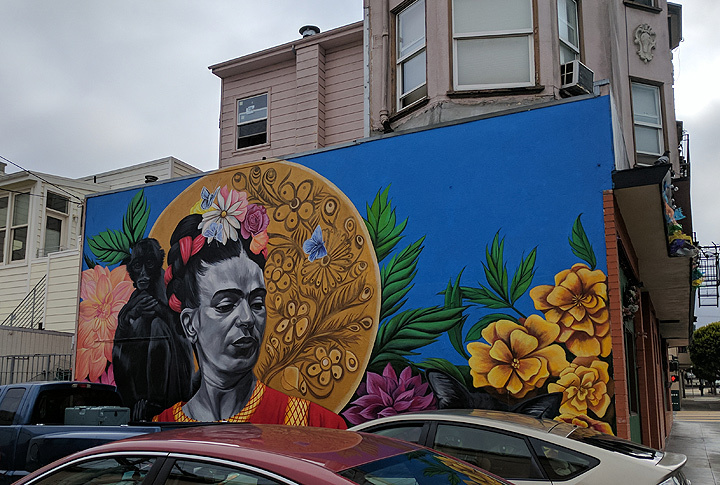 Mural of Frida Kahlo on back of Irish bar at 25th and Valencia, 2017. 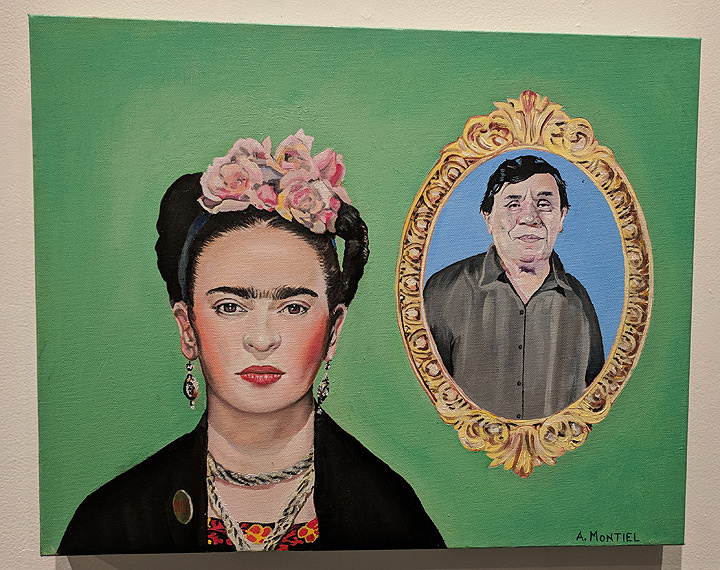 Longtime San Francisco artist and curator Rene Yañez recounts his efforts to bring attention to Frida Kahlo starting in the 1970s, a time when she was not yet the international icon she is now. Portrait of Frida Kahlo with Rene Yañez. 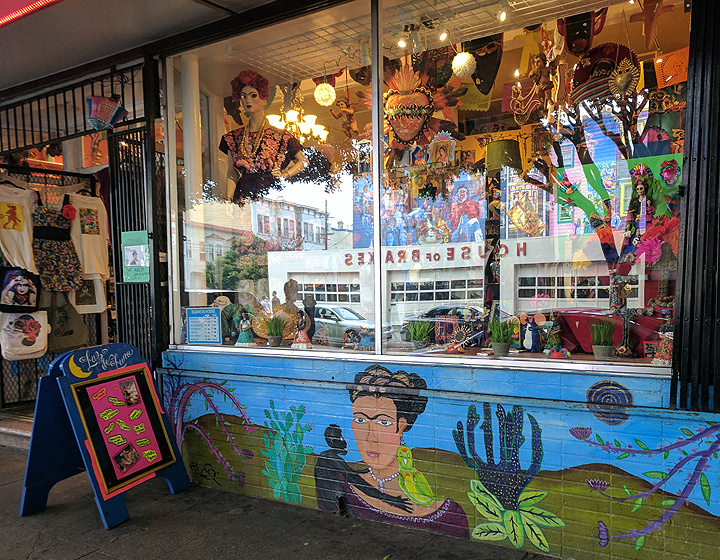 Local shop on 24th Street in the Mission specializing in Mexican artesania, with heavy presence of Frida Kahlo dolls, clothing, imagery, etc. 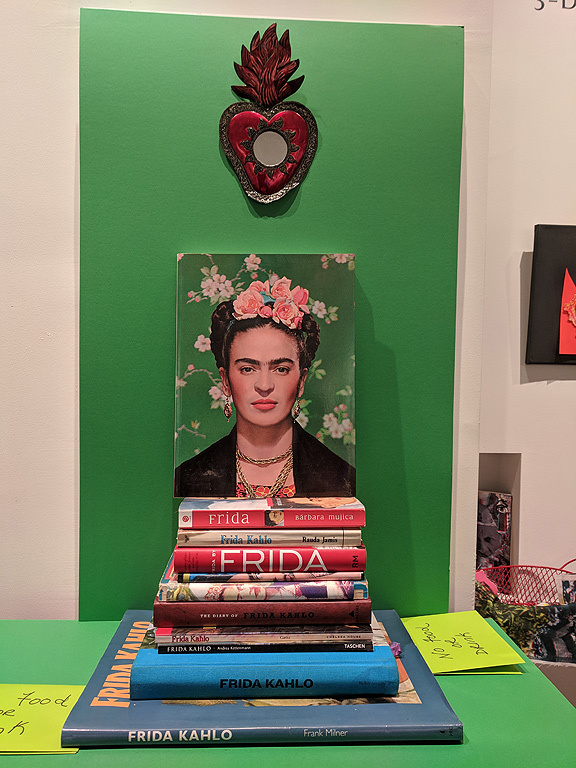 Dozens of books and monographs have been published about Frida Kahlo in the past few decades. 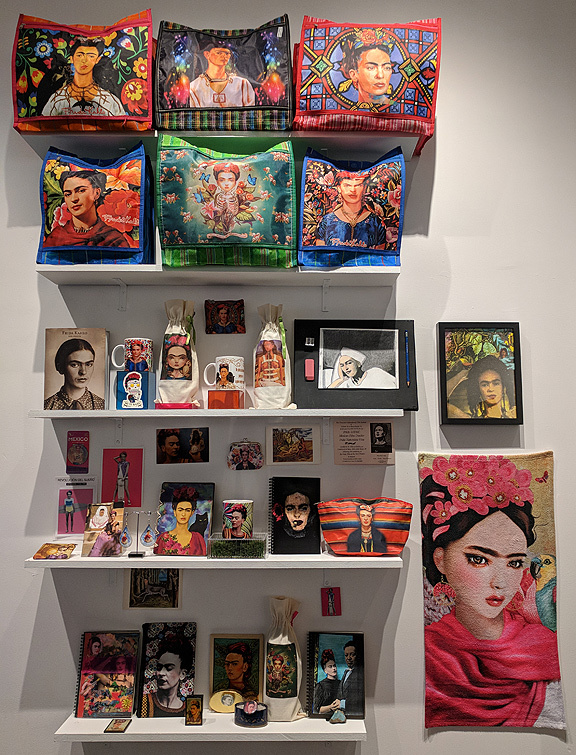 A small fraction of the plethora of Frida Kahlo merchandise now available, displayed here during Rene Yañez's one-man show at the Luggage Store Gallery in spring 2018. 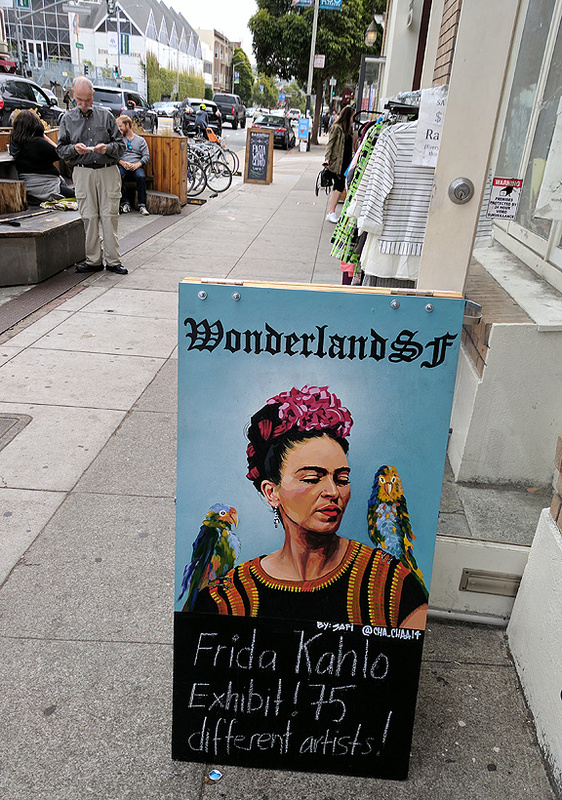 Yet another local business trading on Frida Kahlo's image. 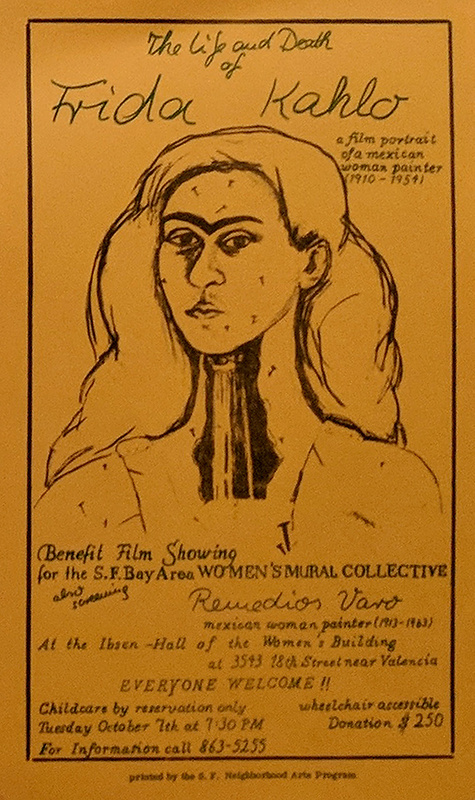 Frida Kahlo benefit for Women's Building murals, c. 1979.